The pool is open everyday. 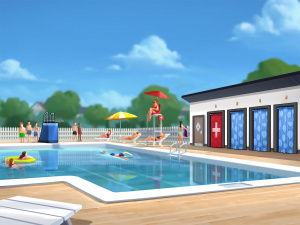 the main character can swim in and interact with Cassie the lifeguard and Ronda. This page was last edited on 2 April 2019, at 02:42.